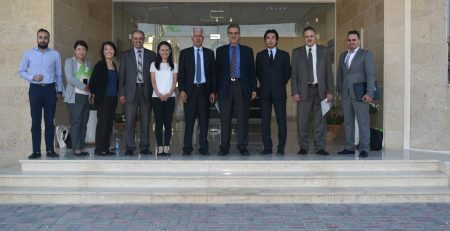 The Delegation was welcomed by the Chief Executive Officer of PIEFZA Dr. Ali Shaath, and Mr. Nasr Atyani JAIPCo General Manager, as they both Appreciated the great strides Government of Japan and its people have made towards JAIP Project and its success, to maintain momentum in harnessing the Project incredible potentials since the launch of “Peace and Prosperity Initiative” in 2006 by H.E Prime Minister of Japan. 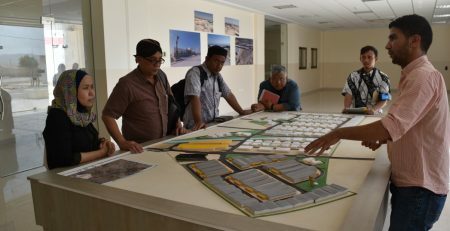 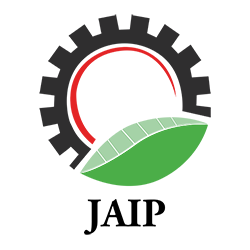 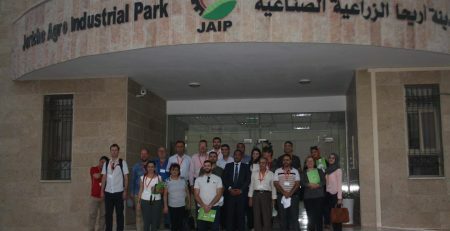 This tour visit aimed to share the success story of JAIP Project, and highlight the good economical practice it has achieved since 2012. 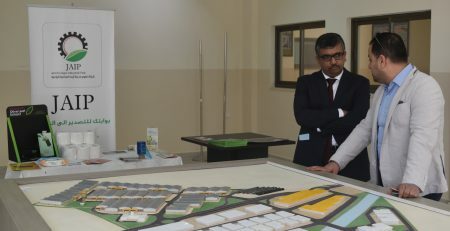 This tour has given the Journalists a first-hand glimpse to all the steps that are being undertaken to build a world-class manufacturing Environment with all services in place onsite and to gain a better understanding of the project’s Background”. 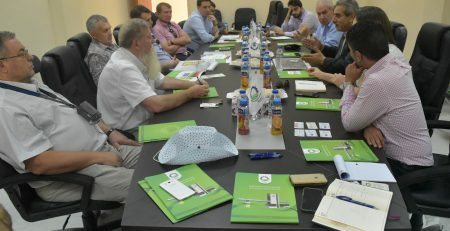 Later on Dr. Shaath noted the role of the Palestinian Government in encouraging investments in Palestine, and Particularly in Jericho Agro Industrial Park, by providing developed Lands to establish industrial parks, and special Incentives package for industrial investors, along with the other tax and customs exemptions. 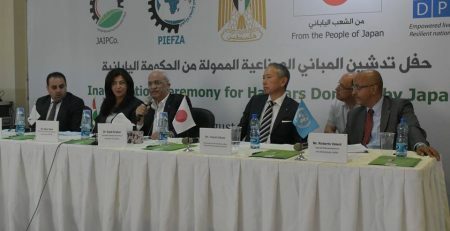 In H.E’s speech Dr. Zakaria Al-Agha, member of the Executive Committee of the Palestine Liberation Organization and Director of the Refugee Affairs Department Appreciated the fundamental role Japan government and its people have played in Supporting Palestinian People, His Excellency highlighted the achievements made in cooperation with Japan International Cooperation Agency (JICA) in promoting Collaborative work to build a better future for refugees, in order for them to enjoy a prosperous economy and practice their rights as Palestinian People. 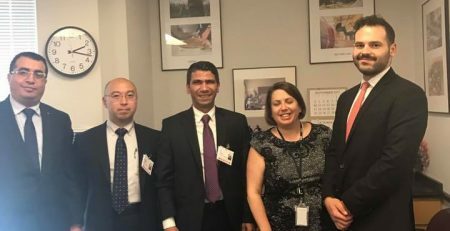 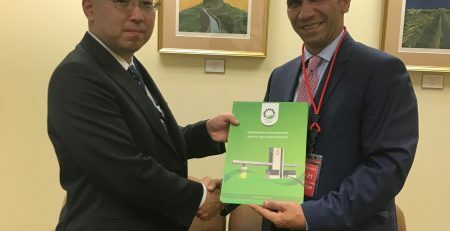 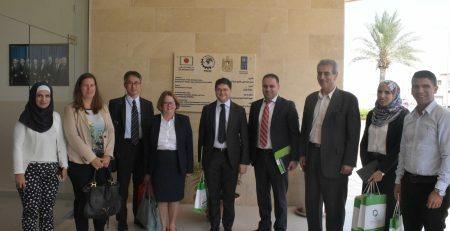 The meeting also included a comprehensive presentation made by Japan International Cooperation Agency on (JICA) about their projects in Palestine and the strategies of implementing developmental programs such as the peace program that promotes of socio and economic independence, Technical support programs and Grant assistance.